Tapered roller bearings are mainly suitable to carry combined load---radial load and as well as axial load; While steep angle tapered roller bearings (27°-30°) can carry the combined load dominated by the axial load. The tapered roller bearings are separable bearings, their internal assemblies and outer rings can be mounted separately; the radial clearance and axial clearance can be adjusted when mounting and interference fits are also allowed. This type of bearings can accommodate the axial displacement and axial load on one direction on the shaft or housing. An additional axial force will be generated under the action of radial load, so the outer ring and inner ring inside the two Bearing slewing should be mounted with their end faces with same name opposite each other. When applied separately, the applied axial force must be larger than the additional axial force. These types of bearings comprise one double-raceway outer ring (one double-raceway inner ring) and two inner rings (two outer rings). There is a spacer between the two inner rings (two outer rings), To change the thickness of the spacer can adjust the bearing clearance. They can carry radial and double-direction axial load simultaneously. This type of bearing adopts two double-raceway inner rings, one double-raceway outer rings and two single raceways. There are spacers between inner rings and outer rings used for adjusting bearing clearance. They can accommodate large radial load. 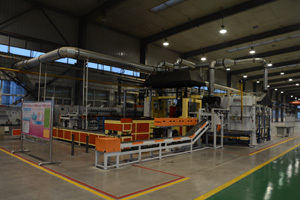 But their limit rotational speed is low so they are mainly applied to heavy-duty machines such as rolling mills. Tapered roller bearings generally adopt steel sheet cages, when with too large sizes, use welded steel sheet cages or steel pinned solid cages. Generally, inclination is not allowed between the shaft and the housing on the tapered roller bearings. If any, it should not exceed 2'. Generally, the tolerance classes of tapered roller bearings is P0, also can produce higher tolerance classes bearings according to the requirement of users. The tolerance value is showing in the section [the tolerance of Rolling Bearing". Users can adjust for practical clearance for the single-row tapered roller bearings according to different demands. The radial clearance of double-row and four-row tapered roller bearings is showing in the table 1. When applying single-row tapered roller bearings in pairs, the additional axial force must be counted when computing the equivalent dynamic load of the bearings. The axial load magnitude is influenced by mounting methods and the applied axial load and the detailed computing method is same as angular contact ball bearings. e.Y.Y1.Y2.Y0 see the bearings dimension table. 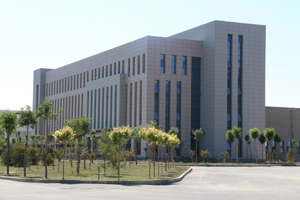 Xibei Bearing Co., Ltd. is located in the Yinchuan city, the capital of Ningxia province. Its predecessor, the Xibei Factory was founded in the depths of Helan Mountain in 1965. 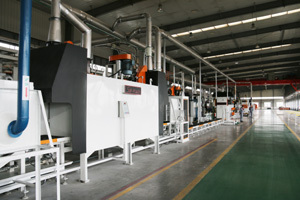 From 1982, it moved to Yinchuan city, and builds a modern factory in the Yinchuan city. It makes a positive contribution to the revitalization of bearing industry in China.Xibei Bearing Co., Ltd. is one of the biggest bearing manufactories in the west of China, one of the leading companies in bearing industry. 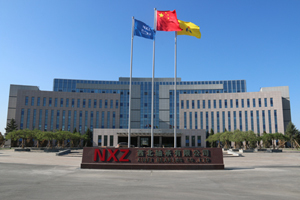 It has certificate for the Exemption for the Export Inspection and its NXZ trademark is the Chinese well-know mark.Located In the northwest of China, Xibei Bearing Co., Ltd. orientate to equip China and service to the world. During the course of development, Xibei Bearing Co., Ltd. continuously accumulates experience, pioneering and innovative, forge ahead with determination. In accordance with the international standard and customer`s special requirement, Xibei Bearing can produce more than 6000 varieties of bearing standard and non-standard with outside diameter from 40mm to 3500mm. NXZ bearing is widely used in rail transit, military industry, precision motor, petroleum machinery, metallurgy machinery, heavy truck, construction machinery, mining machinery, cement machinery and hydraulic engineering, etc., and well sold all over China and export to over 50 countries and regions, such as Europe, America, Asia, Africa, etc. Xibei Bearing Co., Ltd. has National Enterprise Technical Center, postdoctoral scientific research workstation, and union engineering laboratory by local with state for large special bearing. There are abundant technical strength, first-class new product research & development, technology innovation ability, perfect technical innovation and product development system. It`s research and develops more than 200 kinds of new products per year on average. Research and development of oil drilling bearing 30228/630Q won the national quality gold medal. NXZ research & development and manufacturing process is leading level large special bearing. Products are successfully applied to the shenzhou V, Shenzhou VI launch monitoring device. 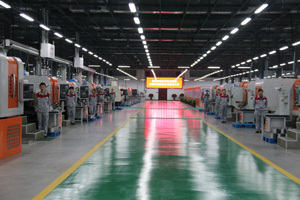 Company has more than 500 kinds of products have filled the country blank space; nearly 1000 kinds of products reached the international advanced level.Xibei Bearing Co., Ltd. has all kinds of professional and technical personnel more than 300, including over 90 senior professional and technical personnel, with eight enjoy state council allowance, four enjoy the Ningxia autonomous region government subsidies, one is in the state [Bai qian wan project", and two are postdoctoral. Xibei Bearing promises the concept of [Customer First, Quality first" has successively passed the ISO9001 quality management system, ISO14001 environment manage system, ISO10012 metering management system, GJB9001B military quality system, ISO/TS16949 automotive quality system certification, and is national first-class metrology unit.Xibei Bearing Co., Ltd. possesses all kinds of equipment and test equipment of 2500 sets, in which, 425 sets are [large, precise and high-tech" equipment. It can supply the informatization and intelligentized process equipment to customer with higher quality product in bearing industry.Xibei Bearing Co., Ltd. makes the best of existing well-know mark, the advantage of the technology, resources and market, according to the [Made in China 2025" Strategy, promoteing high technology content, high value-added, high precision, high reliability bearing product. In Yinchuan state-level economic and technological development zone plans and constructs the first-level high-end bearing industrial base with digital, intelligent, informatization, greenization as the target. Xibei Bearing will be built into the biggest high-end bearing base in the West of China for research and develop, test and intelligent high-end base, the domestic first-level export high-end export base, fulfilled industry transformation and updating fulfill the capacity of annual output high-end equipment bearing for rail transit, military machinery, precision machinery, wind power, petroleum machinery, metallurgy machinery, mining machinery and heavy truck. Company Name: Xibei Bearing Co.,Ltd.